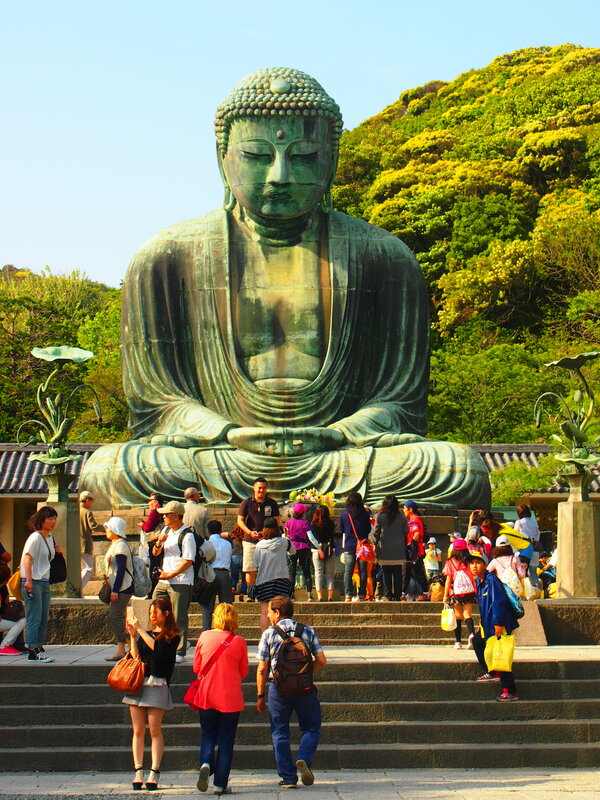 A tourist-show, a legend told, A rusting bulk of bronze and gold, So much, and scarce so much, ye hold The meaning of Kamakura? Neither tsunami nor earthquake could put a dent in the Buddha’s serenity. For close to 800 years this large bronze Buddha has sat and meditated upon hordes of pilgrims and tourists. Once upon a time it sat indoors but storm after storm destroyed the buildings which housed it and eventually I guess they gave up building a shelter for it. But this is so much better because its oxidised teal shades complement so well the green foliage behind and the blue skies above it. For something this old, it looks in surprisingly good condition. Apart from an inner neck reinforcement in the 60s, you can’t tell that this Buddha is really several hundred years old. It sits serenely amid tourists flashing the V sign with cameras clicking, cellphones out to capture a selfie with him, all the time indulgently gazing at the many who come from near and far to see it. The Daibutsu at Kotoku-in was almost the last stop in a full day of sightseeing in Kamakura. But last was certainly not least. It was close to the end of the day by the time we arrived here. A good thing too. The crowd was thinning out by then, allowing us space to circle him unimpeded by the hordes. Cool to the touch despite having sat in the sun for the entire day, his hooded eyes are inscrutable. For a small sum you can clamber into his mindspace. But perhaps fittingly Zen – all is emptiness and nothingness within. Slightly disappointing in fact, its slightly clautrophobic dimness is a cool space but empty of inspiration or reflection. Far more rewarding to sit outside and return his gaze. 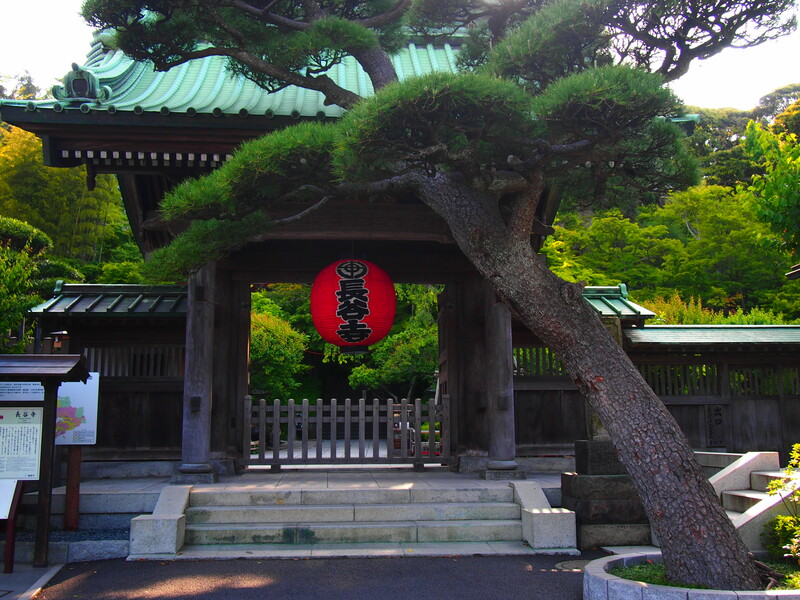 This entry was posted in Japan and tagged Japan, Kamakura, temples. Bookmark the permalink.